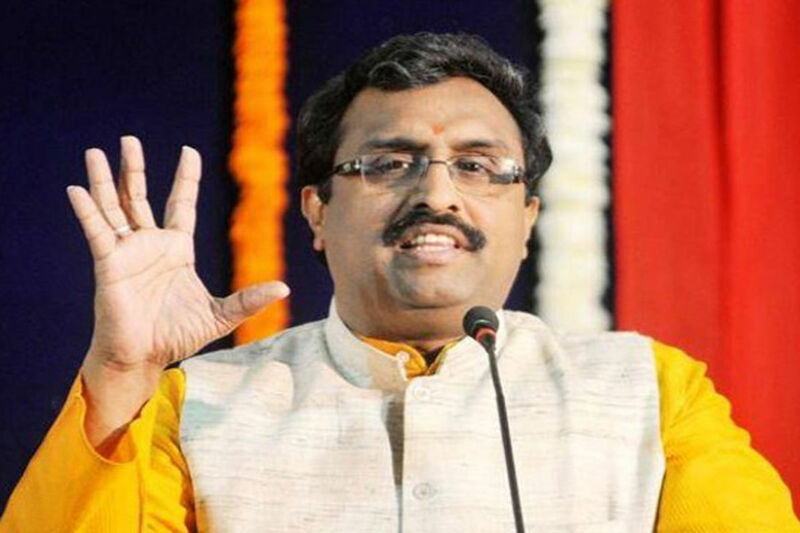 Jammu: BJP national general secretary Ram Madhav Tuesday said that there is a possibility of holding assembly elections with Lok Sabha polls in Jammu and Kashmir. “We have to reach out to people through our workers … and win the forthcoming Parliament polls. There is possibility of holding polls to J&K legislative assembly at that time (LS polls),” Madhav said while addressing a function here. In a major decision, the Jammu and Kashmir administration Friday created a separate division for Ladakh, which was part of the Kashmir division till now. “We will appeal to the people of the state to tell us what why type of government they want in J&k”, he said, adding the party will incorporate their suggestion in its manifesto. Madhav hoisted the party flag at the residence of former Dy CM Kavinder Gupta. BJP national Khanna hoisting the party flag at the residence of JMC Mayor Chander Mohan Gupta. Khanna, while speaking on the occasion, said that under the Mera Parivar, Bhajpa Parivar campaign, Bharatiya Janata Party, has visioned to reach up to the grassroots level of every region across the nation. Under the programme the party flag carrying its poll symbol lotus will be hoisted and the stickers will be pasted on houses of all the party leaders, workers as well as the party supporters. It is the symbolic expression that the BJP is not just a political party, but a closely knit family that is bounded by the feelings of emotions while sacrificing own pleasures for the sake of one greater family, our motherland, Khanna said.